Vermont's GOP governor throws up an obstacle to marijuana legalization, the House GOP is set to vote to force unemployed workers to take drug tests before receiving their earned benefits, the rightist mayor of South America's largest city turns his back on harm reduction, and more. House Republicans want laid off workers to have to undergo suspicionless drug tests before receiving their earned benefits. Oregon Bill Would Limit Pipe, Bong Sales to Pot Shops . Minority whip Rep. Jodi Hack (R-East Salem) has filed a bill that would only allow pot paraphernalia to be sold a licensed marijuana shops. Hack said the measure, House Bill 2556 , was aimed at stopping minors from buying the stuff at gas stations, minimarts, and tobacco shops. But smoke shop operators and other retailers are vowing a fight. Vermont Governor Demands Tough Driving Provisions Before He Will Support Legalization . Gov. Phil Scott (R) says he will not support a legalization bill before the legislature unless it has provisions allowing police to determine is someone is driving while impaired. "Certainly it's still problematic from the standpoint of public safety," said Scott. "I want to make sure that we address those concerns I talked about on the campaign trail in terms of impairment on our highways." He also acknowledged that current tests don't provide clear evidence of impairment, but used that uncertainty to say Vermont should wait and see how other states deal with the issue. Arkansas Medical Marijuana "Fix" Bills Advance . The House voted Monday to approve two bills aimed at tidying up the state's new medical marijuana law. The measures, both authored by Rep. Doug House (R-North Little Rock) are House Bill 1371 , which requires that Arkansans hold 60% ownership interest in pot businesses in the state, and House Bill 1298 , which requires that persons, not corporations, hold the licenses. The bills now head to the Senate. South Dakota CBD Bill Advances . The Senate Judiciary Committee voted Tuesday to approve Senate Bill 95 , which would reschedule CBD as a Class 4 drug in the state and remove it from the definition of marijuana under state law. The bill would legalize the possession and use of CBD, but only upon approval by the FDA. That requirement was added in committee. House to Vote on Drug Testing the Unemployed . The House was prepared to vote as early as today on House Joint Resolution 42 , which would undo Obama administration limits on drug testing people seeking unemployment benefits. Under a compromise to extend unemployment benefits in 2012, the Obama administration agreed to limited drug testing, but only once the Labor Department had identified industries and sectors that "regularly require drug tests." People receiving unemployment benefits are people who have been laid off from work, not people who have been fired for cause, including drug use. People who are fired for cause don't qualify for unemployment benefits. Arkansas Senate Approves Bill Making Welfare Drug Testing Permanent . 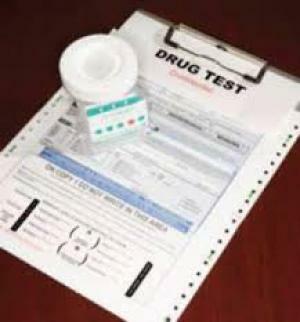 The Senate Tuesday approved Senate Bill 123 , which would make permanent a welfare drug testing pilot program approved two years ago, even though the pilot program had only two people fail a drug test and 11 decline to take it out of more than 3,000 people who applied for welfare last year. Under the Arkansas law, the children of people who fail a drug test lose their benefits unless their parent undergoes drug treatment at his or her own expense. The bill now goes to the House. Sao Paulo's New Mayor Turns Back on Successful Harm Reduction Program . New Mayor Joao Doria will scale back a successful harm reduction program that provided housing and jobs to people with problematic crack cocaine use and replace it with a coercive and abstinence-based program. The Restart program Doria likes involves the involuntary "hospitalization and confinement of those who are victims of crack so that with medical treatment, they can stay away from drugs," he explained. Venezuela VP Shrugs Off US Drug Sanctions . The Venezuelan government Tuesday condemned US sanctions imposed a day earlier on Vice President Tareck El Aissami as a "highly dangerous" infringement of Venezuelan sovereignty, while El Aissami himself called it a "miserable and defamatory aggression" that wouldn't distract him from his job. The US accuses El Aissami of facilitating cocaine shipments while he was a provincial governor.